My plate, an order of Ginza. 8 different pieces of sushi. I know, I've told you before. The best sushi in Stockholm. It's at Hattori Sushi Devil. For sure. And I'm not just saying that because head chef Peter Forsberg happens to be my brother in law - they really *are* the best. We eat there regularly, though not as often as I would really like to. They have a very small restaurant with just a few seats, so unless you're planning on takeaway, be prepared to wait for a while or avoid the lunch hour. Everything is made a la minute, which means that yes, it will take longer, but you won't get any boring, dried-out sushi that you won't want to eat anyway. It's well worth it. 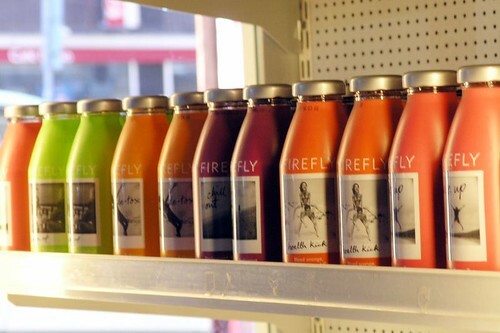 Unfortunately, no sushi bars in Sweden are allowed to serve alcohol (becuase according to Swedish law, you can only serve alcohol if you have a hot kitchen), so the drinks are limited to water, green tea (free) and Firefly which is a pretty cool drink. Peter mixes his own flavored soy - there's a ginger, one with shiitake, one with bonito (smoked tuna) and my favorite, a citrusy one that I think has yuzu in it. The guys are really getting recognition - several papers and magazines have written about them, and they're being asked to cater a lot of big functions. Well, as long as I can get my sushi fix, I'm really happy for them. It's well deserved! Oh yeah! I just totally agree!!! I hadn't eaten well-prepared sushi since I moved back from Japan until my first visit to Hattori. And man, it was just marvellous!!!! Since that first visits I have been several times. La minute is how it is done in Japan. Preparing sushi is not just about slicing fish and throwing it on a pillow of rice, it is about far more of an art form than some restaurants appreciates. Hattori has though. How does this place compare to East? Coming from New York, I've been very let down by sushi in general here, but East is ok, have had some decent hamachi there...albeit pricey. Anonymous - I haven't been to East. I really don't like the vibe of the place much. I've eaten at Hattori twice. I acctually gave it a second chance because of your comments on it Anne but I don't think it's that good. Sushi is flavoured rice and the rice at Hattori doesn't taste anything at all. The fish is marvelous and fresh but all the extra spices and herbs kinda destroys the whole point of sushi, which is supposed to be clean flavours. 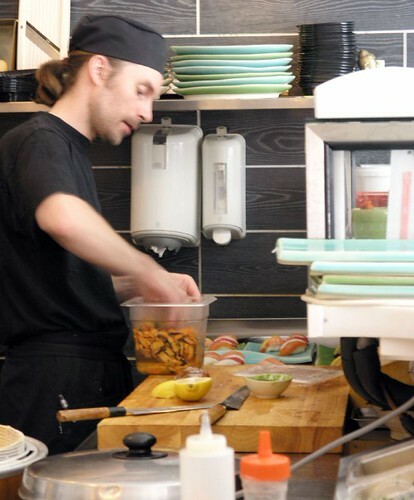 I'd recommend Kimama (Observatoriegatan 13) over Hattori anytime! They have awesome and marvelous fish just as Hattori, but their rice is delicious aswell! I'd have to agree... no sushi is complete without miso soup. 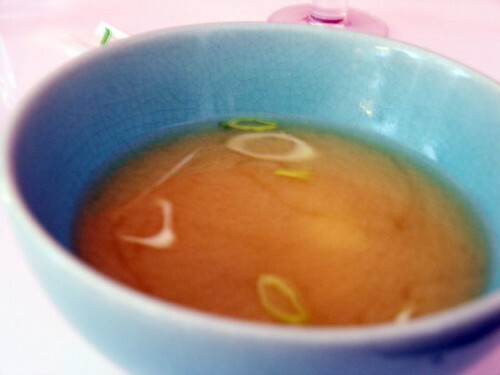 in fact, nothing is complete without miso soup... i LOVE it! 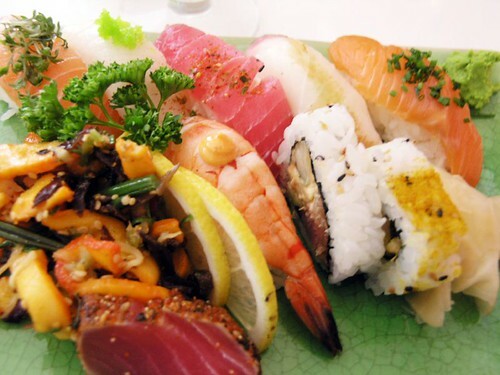 Whish i could try your sushi place, you've made my mouth water yet again! Det är det stora problemet med "Svensk Sushi", Riset verkar inte ligga i fokus. Det är oftast för sött, eller som sagt, smaklöst. Och vet inte om det är samma problem i Sthlm (verkar inte vara det iaf.) Men här nere i Göteborg, Så är det ofta om inte alltid för stora "riskuddar". Det är rent ut sagt perverst...! Anne, om du landar i GBG nån dag, sök upp "Avan Gardo Sushi Ryori". Gör allt på det japanska viset. /Hoze Seruda.